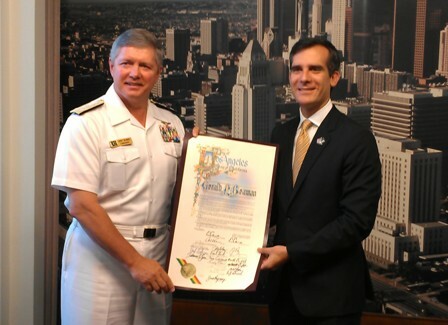 This morning I was proud to join Vice Admiral Gerald Beaman and other members of the United States Navy to recognize Navy Week in Los Angeles. As a member of the reserve component of the Navy myself, I have a first-hand appreciation for the work that the men and women of our Naval forces do to protect our country and our values at home and abroad. There are many activities happening at the Port of Los Angeles to celebrate Navy Week. Click here to learn more. 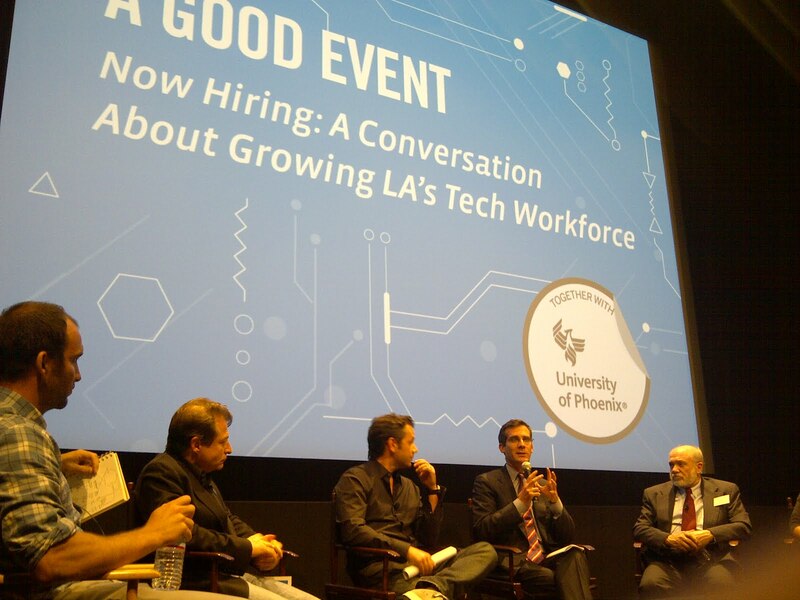 Last night I had the pleasure of participating in a conversation about developing Los Angeles's technology workforce. 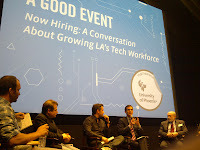 The panel discussion was sponsored by GOOD and the University of Phoenix. We spent much of the time focused on how crucial it is that our Los Angeles community get our young people excited about aspects of math, science, and technology that relate to them to raise their interest in these subjects that are so crucial to our success. Melrose Avenue Elementary School Principal Bernadette Lucas talked about the passion for learning that she sees in her students inspired by the school's robotics program. The teachers and faculty at her school regularly seek opportunities for their students to be exposed to people who have careers that utilize math and science. Her school provides every 3rd through 5th grader with a laptop that they take home with them everyday -- just one of the many ways the school community affirms its commitment to teaching technology. Eric Hirshberg, CEO of Activision Publishing and a proud UCLA alum, talked about his desire to see more people of all ages being driven in their careers by their passion, creativity and innovation rather than financial incentives. Audience members also had excellent comments and questions, including a college student who asked what the average person could do to help. The discussion continues online here -- click through to join in. A Home Rescue Fair will be held on Saturday, September 17, to provide assistance to those who are at risk of foreclosure. The event will be held from 10 a.m. to 3 p.m. at Goodwill Industries (342 N. San Fernando Road) in Lincoln Heights. The fair will offer free bilingual face-to-face sessions with loan specialists, HUD-approved housing counselors and attorneys, and informational workshops. 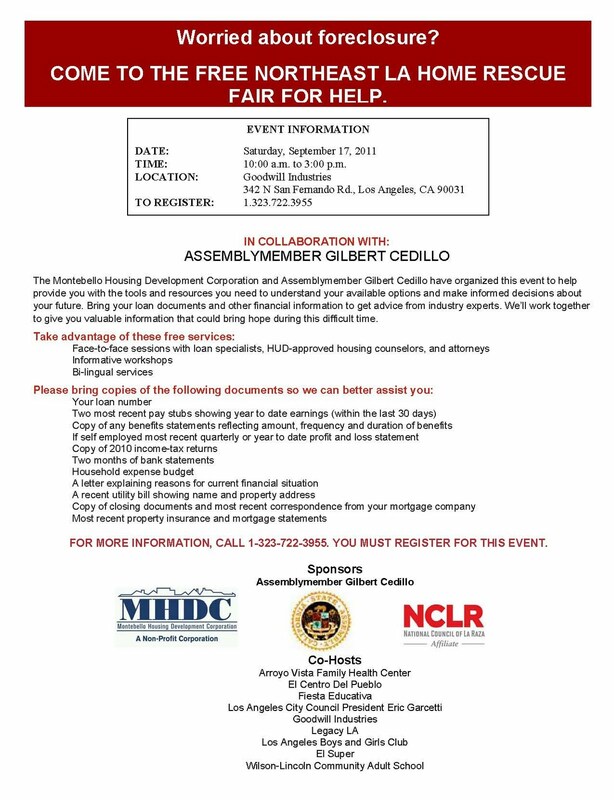 My office is pleased to be a co-host of this event, which is sponsored by Assemblymember Gil Cedillo and the National Council of La Raza, in collaboration with the Montebello Housing Development Corporation. The 2011 Water and Power Rates Input Summary Session previously scheduled for Thursday, July 28, has been postponed to Thursday, August 25, to allow more time for public comment. With the added time, LADWP hopes to gather more input from customers on potential strategic investments, and further analyze customer feedback. The rescheduled session will take place at the same location as previously planned -- the LADWP headquarters (111 N. Hope Street) in Downtown Los Angeles. The meeting also be accessible as an online webcast. If you plan on attending the Input Summary Session, please RSVP by clicking here, and be sure to indicate whether you will attend the meeting in person or will participate online. For more information about the 2011 rates process, please visit http://www.ladwp.com/LAForward. 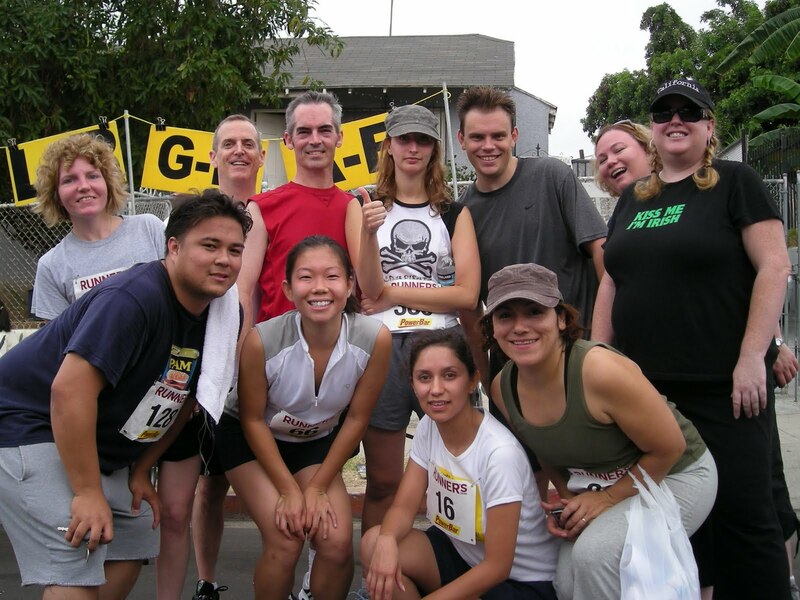 Sign up now for the 5th Annual Historic Filipinotown 5K Run/Walk! The race will kick off on August 6 at 7:30 a.m. at 1925 Temple Street, cutting through the heart of Historic Filipinotown with a rolling street closure along Temple Street. The race is co-sponsored by the Historic Filipinotown Neighborhood Council, the Silver Lake Medical Center, and my office. Festivities will follow the race from 10 a.m. until 7:30 p.m. and include live music and dance performances, LA’s top food trucks, and a fashion, travel, craft, and free health fair. To register to compete in the race, please click here. For more information, please click here. 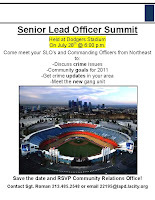 Please join the Northeast Los Angeles Police Department for the Annual Senior Lead Officer Summit held at the Dodger Stadium VIP Lounge on Thursday, July 28, from 6 p.m. to 9 p.m. (1000 Elysian Park Ave). Come meet Northeast Area Commanding Officers and your Senior Lead Officers, and get a crime update regarding your community. 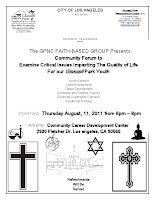 This is your opportunity to ask questions and discuss the LAPD's goals in crime reduction. To RSVP please contact Sgt. Danny Roman at 213-485-2548 or 22195@lapd.lacity.org. Sustainable Silver Lake workshop - "The Great Pacific Garbage Patch and How We Can Help Shrink It"
Mr. Weeshoff works with the Algalita Marine Research Foundation and is a Senior Ambassador for Heal the Bay. 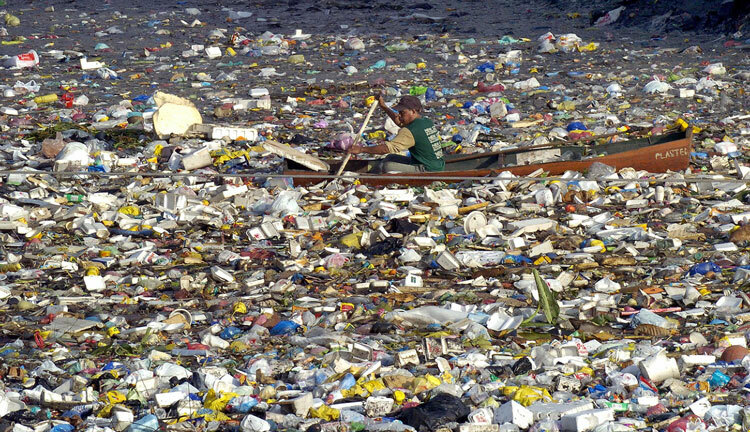 He will discuss the plastic plague in the world’s oceans, its causes, consequences, and possible resolutions. The lecture is part of Sustainable Silver Lake’s “Sustainable Saturdays” free lecture series exploring various aspects of sustainable living. After the discussion, there will be a chance to win a ZAPino scooter valued at $3500 in a free raffle give-away. Starting today, the Department of Public Works will begin sidewalk, curb and gutter improvements at the intersection of Santa Monica Blvd. and Western Ave. The construction is estimated to last a few weeks. All construction will be done at night between 8 p.m. and 5 a.m. Monday through Friday, and between 9 p.m. and 8 a.m. on Saturday. Please be aware that “Tow Away – No Parking” signs may be placed on the street prior to construction and some driveways may be temporarily out of service. If you have any questions or concerns, please contact the supervisor Joaquin Villanueva at 213-216-4265 or at the main office at 213-847-2966. 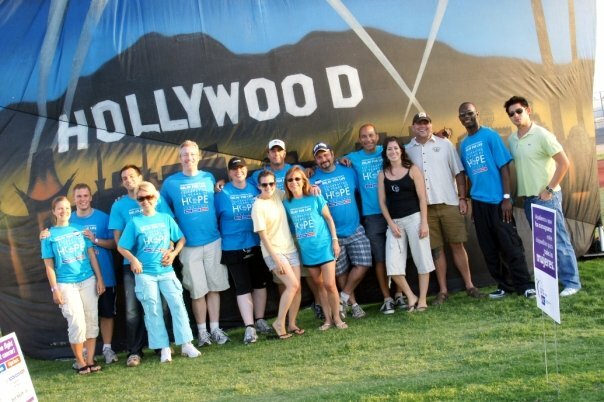 The 2011 Hollywood Relay for Life is this Saturday, July 30! It's not too late to sign up for a team or donate money to Relay for Life, which supports the American Cancer Society. The event begins at 9 a.m. at Helen Bernstein High School, and concludes at 8:30 a.m. the next morning. Relay For Life is a life-changing event that gives everyone in communities across the globe a chance to celebrate the lives of people who have battled cancer, remember loved ones lost, and fight back against the disease. Teams of people camp out and take turns walking or running around a track or path. Because cancer never sleeps, Relays are overnight events up to 24 hours in length. 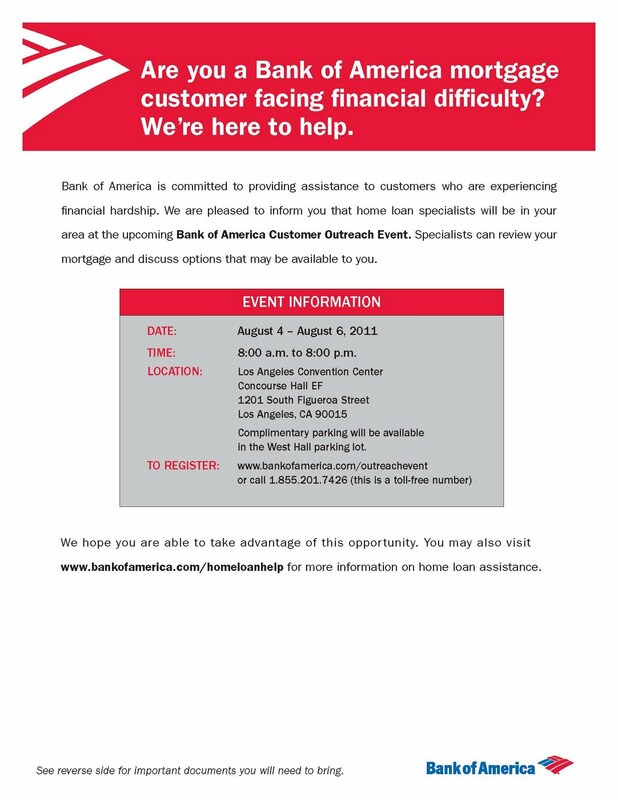 Bank of America will host an event for its customers experiencing financial hardship to help prevent them from falling into foreclosure. The event will take place at the Los Angeles Convention Center from August 4 to 6 and from 8 a.m. to 8 p.m. each day (1201 S. Figueroa Street, Concourse Hall EF). Customers will be able to meet face-to-face with Home Loan Specialists to review loan modifications and other foreclosure prevention alternatives. Complimentary parking will be available in the West Hall parking lot. To register, click here or call 1-855-201-7426. The monthly Northeast Community Police Advisory Board Meeting is tonight from 6 p.m. to 7:30 p.m. at the Los Angeles Police Department Northeast Division in Glassell Park (3353 San Fernando Road, Roll Call Room). The discussion will address current crime statistics and updates on criminal activity, and potential problem areas in the Northeast, and will include LAPD Senior Lead Officers, the LA City Attorney’s Office, guest speakers, and community members. 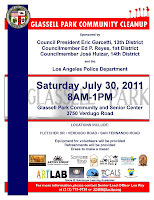 This weekend, my office will co-host a community clean-up in Glassell Park from 8 a.m. to 1 p.m. 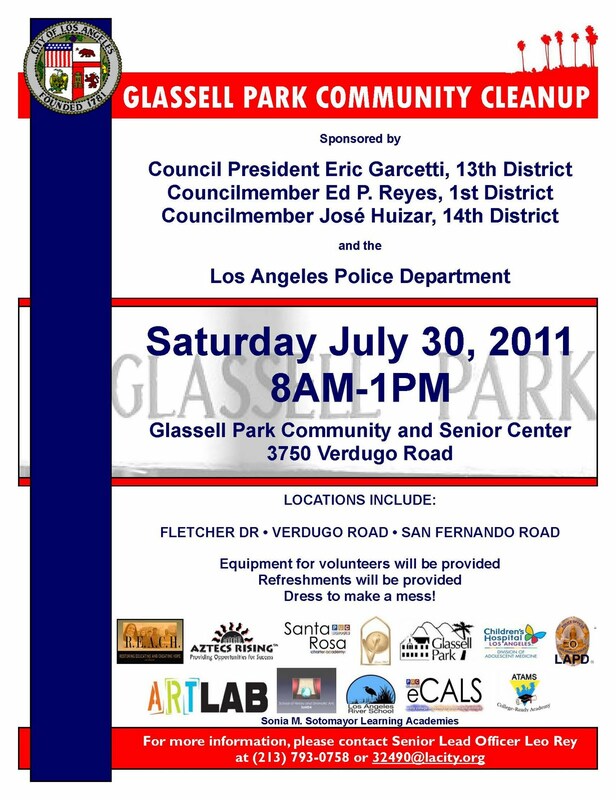 Volunteers should meet at the Glassell Park Community and Senior Center (3750 Verdugo Road) and be dispatched to clean-up locations along Fletcher Drive, Verdugo Road and San Fernando Road. Volunteers may want to bring their own work gloves and sunscreen. Clean-up equipment and refreshments will be provided. 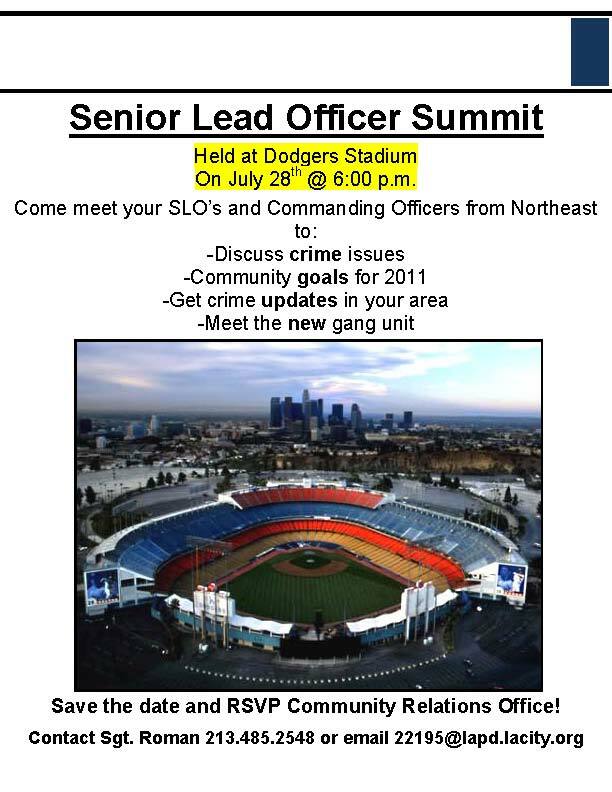 For more information, please contact Senior Lead Officer Leo Rey at 213-793-0758 or at 32490@lacity.org. Please join the CD13 neighborhoods and the Los Angeles Police Department in celebrating National Night Out. Events will take place around the city on Tuesday, August 2, from 5:30 p.m. to 8 p.m. Bring your family and friends to enjoy free food, music, entertainment, games, and a community resource fair. Each year, Councilmembers have the privilege of recognizing an outstanding woman from our districts as Pioneer Women. 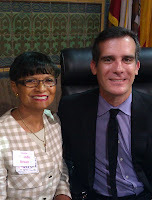 This year, it was my honor to recognize Yolanda Brown. Yolanda is the Parish Life Director for the Blessed Sacrament Church in Hollywood. She's a shining example of the pioneering spirit as well as a leader and guiding force in the Hollywood community. Earlier this month, Archbishop Jose Gomez appointed Yolanda to serve as Blessed Sacrament's Parish Life Director. Prior to her work with this church, she spent seven years as Pastoral Associate for the Dolores Mission Church in Boyle Heights. She also had a career in banking before being compelled to seek a higher calling. 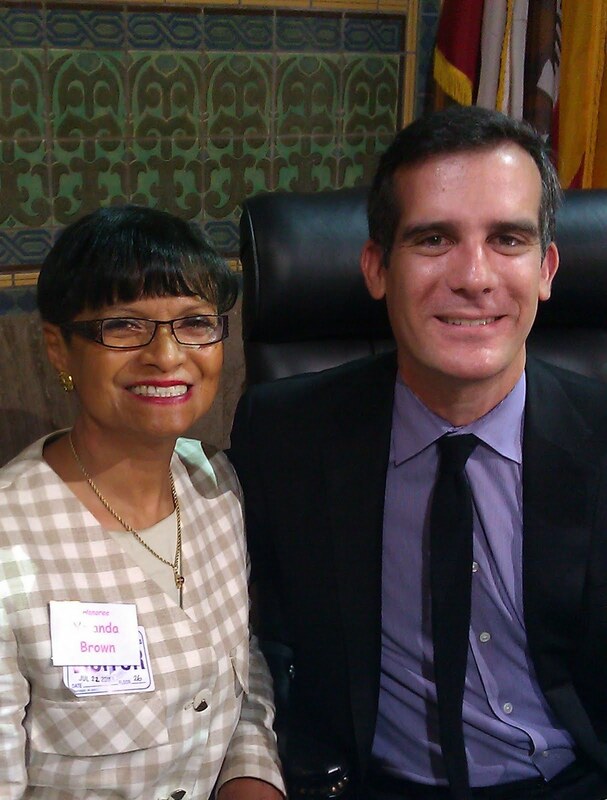 I'm proud to honor Yolanda today for the work she does to help so many families in our Los Angeles community. Help cut greenhouse emissions and share your ideas on the future of eco-conscious transportation in Los Angeles! The Southern California Association of Governments (SCAG) will host a workshop as part of the process of creating a new Regional Transportation and Sustainable Community Strategy on August 16 from 3 p.m. to 6 p.m. at the SCAG Main Office (818 W. 7th Street, Board Room, 12th Floor). For more information, please contact Marie Silva by phone at 213-236-1904 or by email at silva@scag.ca.gov. You can also click here. 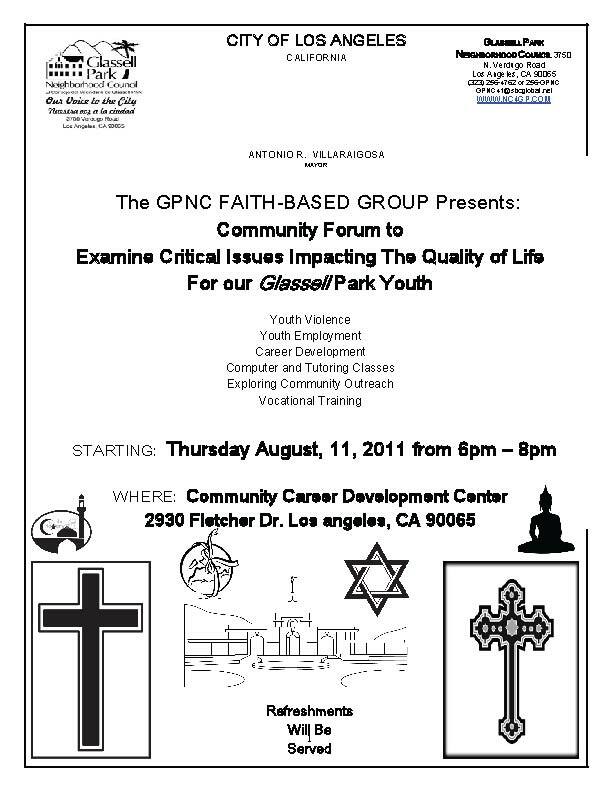 The Glassell Park Neighborhood Council’s Faith-Based Group will be hosting the Community Forum to Examine Critical Issues Impacting the Quality of Life for Glassell Park Youth on Thursday, August 11, from 6 p.m. to 8 p.m. at the Community Career Development Center (2930 Fletcher Drive). The forum will consider youth violence, youth employment, career development, computer and tutoring classes, exploring community outreach, and vocational training as factors affecting neighborhood youth. Refreshments will be served. Please RSVP by August 4 to Art Camarillo by phone at 323-254-8473 or by email at go@sgbvc@att.net. Join the Friends of the Silver Lake Library (2411 Glendale Blvd) for its quarterly used book sale. The sale will take place on Saturday, July 30, from 10 a.m. to 2 p.m. Proceeds will help support the neighborhood library. Volunteers are needed to help with the book sale. If you are interested, please contact cheryl@cherylrevkin.com. Thank you to everyone who helped clean up the Lemon Grove tunnel this weekend! 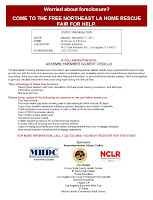 CalTrans, LAPD, Senator Gil Cedillo's office, the Assistance League, and the Volunteer Center to coordinate this event. Dozens of volunteers helped to landscape along the bank of the freeway, pick up trash, and plant vines against the freeway wall to deter would-be graffiti vandals. The area is looking much better and it goes to show how much can be accomplished in just one morning if we work together. Libraries are now open on Mondays! 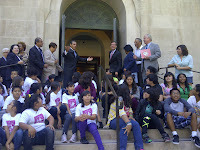 This morning I was very pleased to join students from Noble Elementary School and Ramon Cortines High School to announce the re-opening of our public libraries on Mondays. Due to budget constraints, the libraries had been closed on Mondays since August 2010. 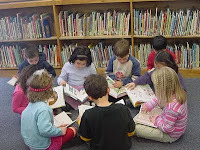 Thanks to voter-approved Measure L, we now have the funding to reopen the libraries on Mondays and will restore service to 2009 levels over the next four years. 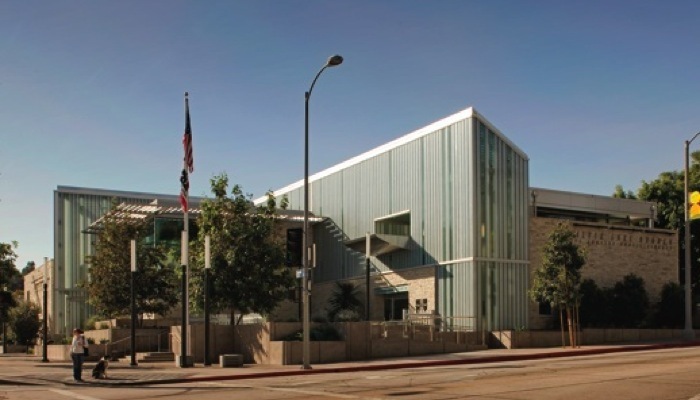 Angelenos across the city can now visit their local library on Mondays from 10 a.m. to 5:30 p.m., in addition to the regular Tuesday through Saturday schedule. The Department of Water and Power will be holding webinars for residential and commercial customers on July 20 to discuss the 2011 Rates Process. The online sessions are part of LADWP’s community outreach on potential water and power rate actions. The commercial customer webinar will take place from 12 p.m. to 1:30 p.m., and the residential customer webinar will take place later that evening from 6 p.m. to 7:30 p.m. Each webinar will feature a live presentation by LADWP General Manager Ronald O. Nichols, followed by a question-answer session and a comment period. During the webinars, participants will have the opportunity to provide LADWP with important feedback on the rates proposals via an online survey. Click here to register for a webinar or learn more about the 2011 Rates Process. Customers may also complete the online survey at any time. To take the survey now, click here. Please join us at a Town Hall Meeting to discuss the Echo Park Lake Rehabilitation Project underway on July 20 at 6:00 p.m. at St. Paul's Cathedral (840 Echo Park Ave). The project team will be there to answer questions. 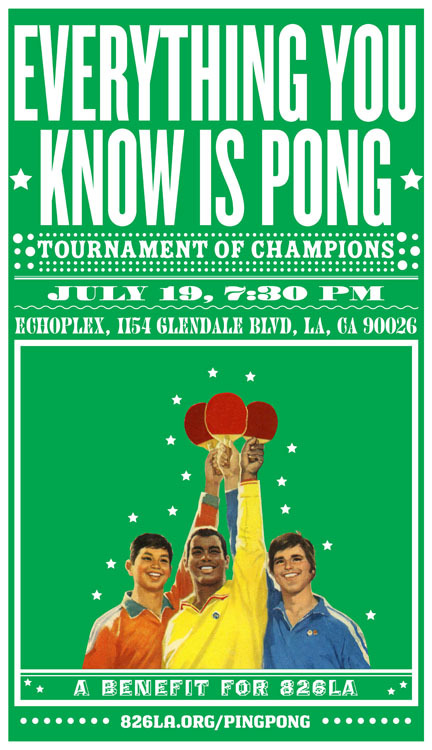 Come compete or support Everything You Know is Ping Pong, a ping pong tournament of champions fundraiser to benefit 826LA on July 19 at 7:30 p.m. at the Echoplex (1154 Glendale Blvd.). 826LA is a non-profit organization that works with local students to help them improve their writing skills and works with teachers to help them inspire students to write. Anyone can participate in the tournament, either by competing, raising funds, or coming to watch the action. To sign up to compete, buy tickets, or learn more, please click here. The United Methodist Church will host a free seminar for college-age women considering law school. Although the seminar will be geared toward the church's members, non-members are welcome to attend. 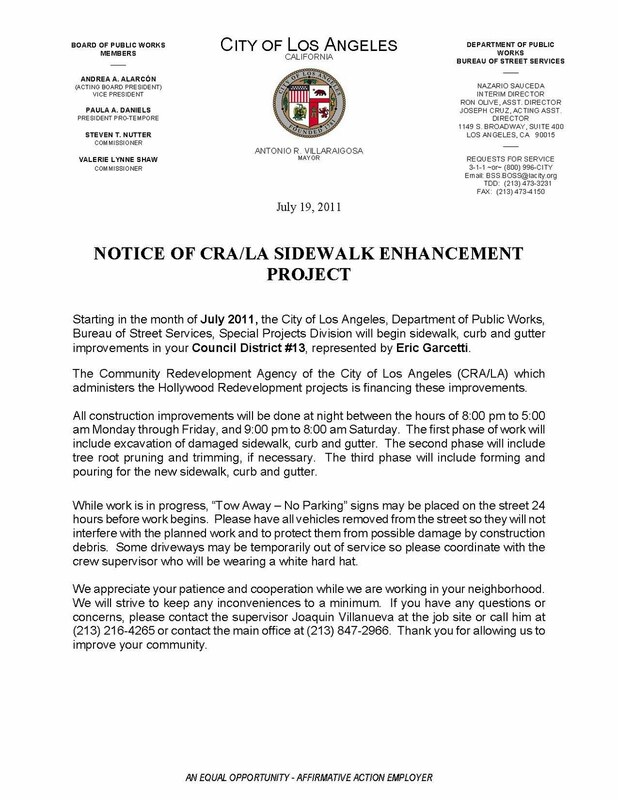 The event will take place at the UCLA Downtown Labor Center (675 S. Park View Street) on July 13 from 6 p.m. to 9 p.m. The informal dinner dialogue will include a panel of three Latina law students who will share their insights on taking the LSAT, the law school admissions process and the law school experience. Celebrate summer at the 33rd Lotus Festival at Echo Park Lake! This free community event will be held Saturday, July 9, from 12 p.m. to 9 p.m. and Sunday, July 10, from 12 p.m. to 8 p.m. at the Echo Park Lake (between Glendale and Echo Park Ave, just north of the 101 freeway). The Lotus Festival presents an opportunity to learn more about our city's Asian and Pacific Islander American communities' cultures -- art, music and dance performances, and food will be featured throughout the park. Clean up your home and help the Friends of the Cahuenga Library (FOCL) by donating your gently used CDs, DVDs, audio books, Blu-ray discs, and video games. You can drop off donations at the library (4591 Santa Monica Blvd.) or call 310-747-4888 to arrange for free pick-up of donations of 100 books or more. At the end of its donation drive, FOCL will host a book sale on July 16 at the Cahuenga Library from 11 a.m. to 3 p.m. All proceeds will support the library’s literacy and children’s programs. Kids can create their own masterpieces at “Crazy Crafts,” a free arts and crafts class offered by the Elysian Valley Arts Collective. Classes are held Wednesdays from 1 p.m. to 3 p.m. at the Elysian Valley Recreational Center (1811 Ripple St.). Children ages 4 to 12 are welcome. For more information, please call the Elysian Valley Recreational Center at 323-666-5058. Get ready for Summer Night Lights 2011, free late-night programming for the whole family at public parks and recreational centers across Los Angeles. SNL begins tonight, July 6, and will run through September 3. Each location will have extended hours on Wednesday through Saturday nights from 7 p.m. until midnight. 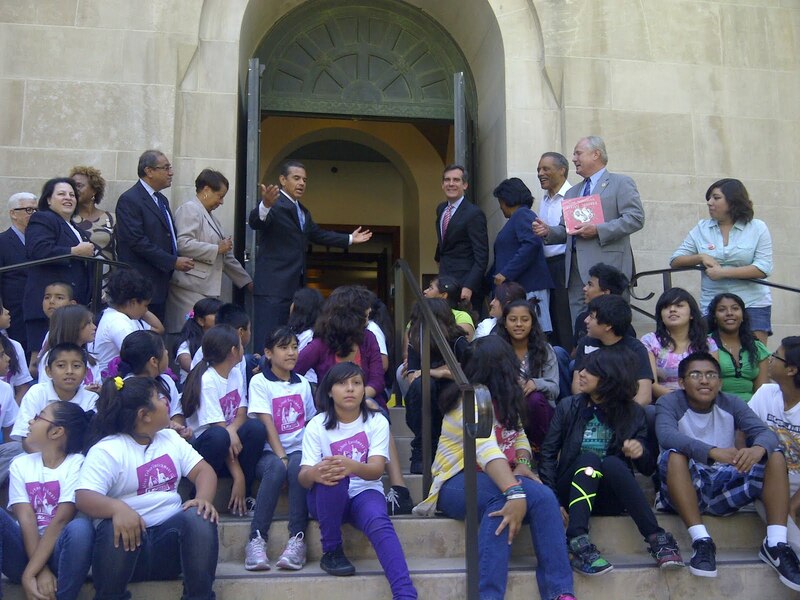 Glassell Park Recreational Center and Lemon Grove Recreational Center in my Council District are part of the program. 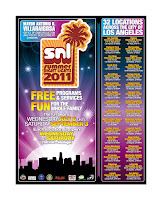 For a full listing of participating locations, please see the SNL 2011 flyer to the right. 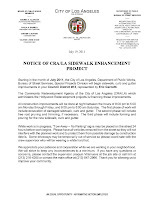 After launching “At the Park After Dark,” a similar program that kept Glassell Park open late during Summer 2007, I'm thrilled that the park will be open late during the summer for the fifth year in a row and that residents across the city will now have access to safe, supervised evening summer programs through Summer Night Lights.